Established in S.B. CA. Since 1986, We are dedicated to creating the finest hand-forged metalwork to be found today in both traditional and contemporary designs. Our staff strives to combine traditional time honored techniques with modern, up to date tooling, in order to provide you with the best value within any price range parameters while never compromising quality or design integrity. We offer you "full service" starting with the design process: conceptual sketches, scaled or full size detailed pencil drawings; In house Fabrication to exact drawings; Specialized patinas and custom finishes ; You can expect custom tailor-fit installation of your metalwork reflecting our 40 years of experience in attention to detail. We look forward to collaborating with you in making your vision come true. Elite Architectural Iron Works, is a custom fabrication shop specializing in the production of Custom Wrought Iron for Homes and Businesses alike. 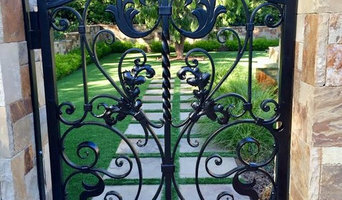 Elite Architectural Iron Works and its Craftsmen provide over 25 years of on hand on-site experience, serving Northern California and Southern California such cities as: Beverly Hills, Malibu, Santa Barbara, Montecito, San Diego, San Francisco, Santa Ynes and Pacific Palisades. We are Bonded, Licensed & Insured. 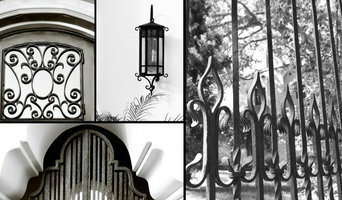 California's go to Ironwork business. 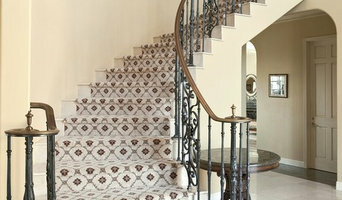 Specializing in iron fences, stairways, balconies, and doors. Give us a call at 805-216-2102 to book a new project. With over 25 years of design and iron fabrication. White Bisons owner is a Third generation welder/ machinist. What began at the Rosebowl swap meet in 1993, quickly became a national business. Servicing 100’s of retail stores nationwide. With the 2000 LA GIFT SHOW many others sought our craftsmanship. Clients like Z Gallery, BCBG NYC/LA, SALZERS RECORDS Ventura and many other brands. We love a good challenge and find pleasure in creating one offs and working with architects and other brilliant designers. Let’s create! Old World Elegance Inc. proudly showcases it's commitment to the time honored tradition of Artistic Architectural Blacksmithing. Our Passion is to Provide Superior Craftsmanship & Dedication in Building the Absolute Finest in Custom Wrought Iron Products. Our Designs Incorporate the Highest Degree of Artistry, Engineering, Attention to Detail & Quality, keeping with highest traditions of the Metal Arts. Custom metal fabricator servicing Oxnard and the surrounding areas. In March of 2004, Towers MetalWorks acquired JC Welding, a local welding shop started in early 1980's. This locally owned and operated welding shop, located in Newbury Park, California had a successful history serving the Conejo Valley community for 18 years. The business name was changed to Towers MetalWorks, Inc. to reflect a more diversified operation. Since that time we have strived to establish a creative and resourceful relationship with all our customers. Our mission is to achieve a solution through our design and production capabilities. Towers MetalWorks also serves the construction community with a wide range of structural experience, as well as design, and metal fabricating for the manufacturing community. With specialties in stainless steel, aluminum, prototyping, and one-off fabrications, we are able to produce anything the customer is looking to fabricate. An ornamental ironworker fabricates bulk iron into the types of structures that a particular home calls for, then installs them onsite. Some of these pieces are mass produced, others custom crafted. Many ornamental ironworkers also have the design skills to fashion unique decorative components. Ironworkers must be trained in safety to create elements such as railings and balconies that both satisfy a home’s aesthetic needs and meet Mission Canyon, CA building codes. Here are some related professionals and vendors to complement the work of ironwork: Fencing & Gate Sales & Construction, Decks, Patios & Outdoor Enclosures, Siding & Exteriors. Find an ironworker on Houzz. 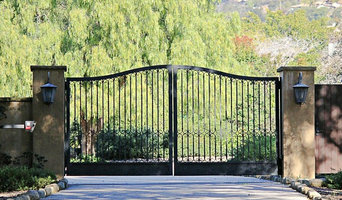 Narrow your search in the Professionals section of the website to Mission Canyon, CA ironwork. You can also look through Mission Canyon, CA photos to find examples of ironwork that you like, then contact the ironworker who fabricated them.